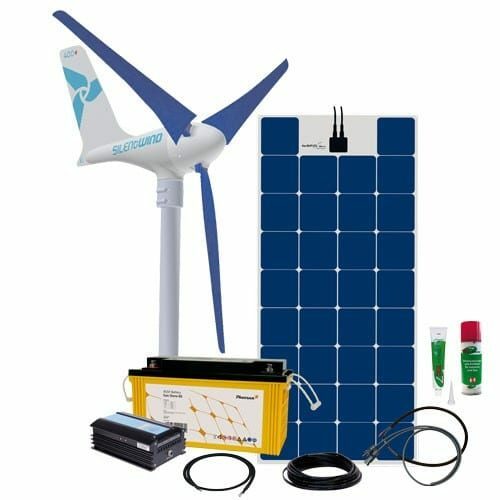 This Energy Generation Hybrid Kit Sun Wind Three kit is ideal for locations with a steady wind flow. In winter when there is less sun the system generates power with the wind generator. These integrated sets allow an easy operation of 12 VDC consumers, such as light, radio, or 12 VDC pond pumps etc. If you connect a 230 VAC inverter, you can also supply any electrical device just as if you were on the grid! This set is an ideal solution if you need solar power only in the evening hours or weekends, e.g. in your garden or holiday home. The kit does not include the pole! So basically, it was 15 years ago that the cornerstone for Phaesun was laid in Memmingen, Germany. Right from the beginning, the focus has been put on the independent power supply with renewable energies. Since then, the Phaesun Team has jolted the Off-Grid community year after year again. The company has developed further in state of constant flux and agitating for a future with Off-Grid power. Join our ZERO Home Bills Community. The BEST Products from the BEST Brands at the BEST Prices for ZERO Home Bills at ZEROhomebills.com by Solaranna.